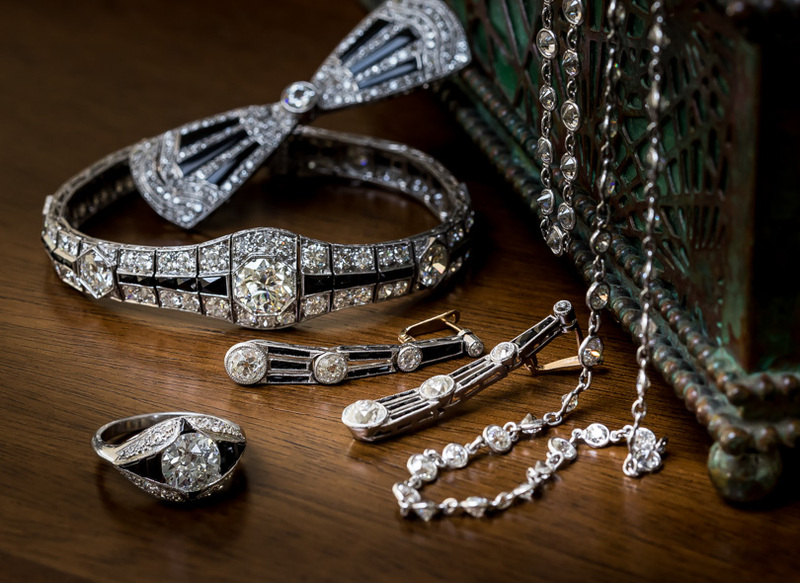 A bright white and beautiful European-cut diamond, weighing 1.38 carats and dating from the early 20th century, sparkles spectacularly within a superb, classic Art Deco style mounting, faithfully reproduced with rigorous attention to detail to replace its timeworn predecessor. The scintillating stone is enveloped by a cushion-shaped frame composed of seamlessly-set calibre sapphires, bordered in turn by a glittering frame of European-cut diamonds which continue along the pinched shoulders of the ring shank. 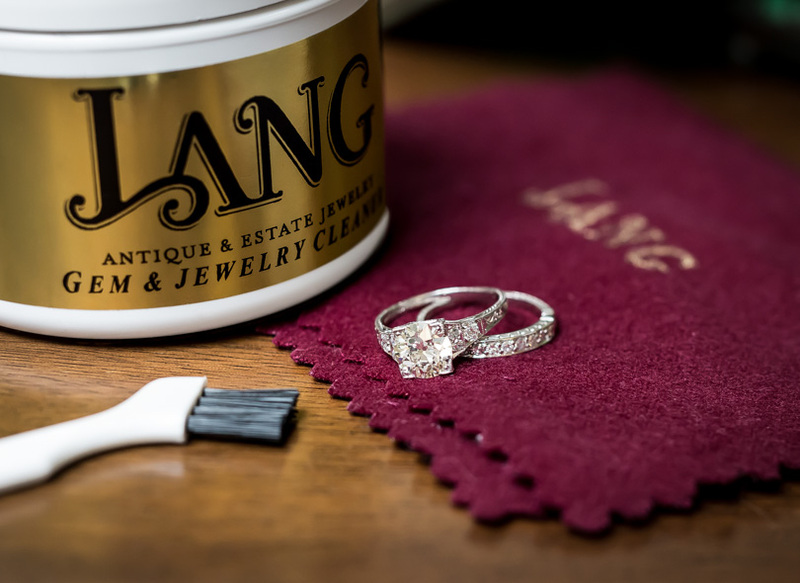 An artfully hand-fabricated scroll work under gallery adds the finishing flourish to this chic, sophisticated, and stunning engagement ring. 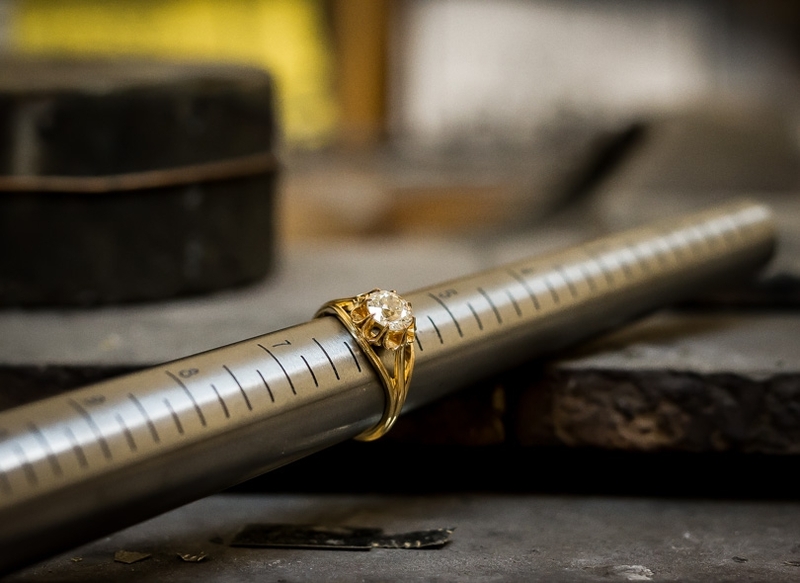 Carat Weight: 1.38 carat Because mountings prohibit full and accurate observation of gem quality and weight, all data pertaining to mounted gems can be considered as approximate unless accompanied by an independent laboratory certificate (AGL, EGL, GIA). Unless otherwise stated, all colored stones and pearls are assumed to be subject to a relatively stable and possibly undetected color and/or clarity enhancement.